Thermal Paste, Grease, Pads – What’s The Difference? Anyone with even a spark of understanding about computing knows that heat is at the core of a well-oiled and functional machine. More specifically, how temperature is managed and dissipated is one of the core tenets of modern day computing, especially in the face of incrementally powerful components. Finding that elusive balance between getting the most power while not damaging components is a balancing act if there ever was one. Among the weapons used in the constant battle with heat, thermal paste, grease, and pads are down in the trenches doing most of the dirty work. But what exactly is the difference between these gelatinous substances and tapes applied to conduct heat away from the CPU and GPU? 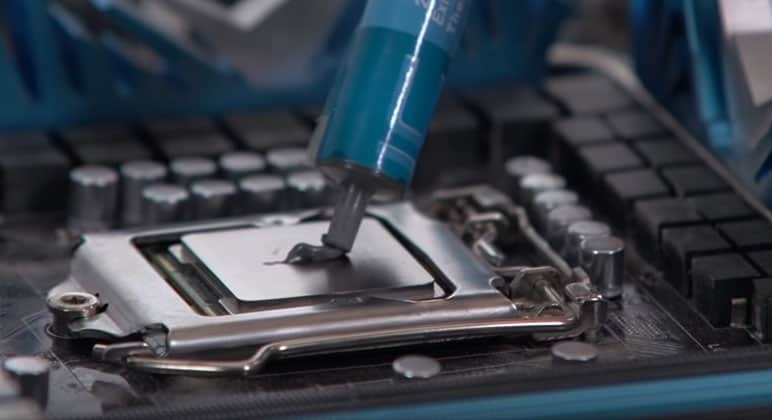 What Is Thermal Paste and Thermal Grease? We’ll cut to the chase, thermal paste and grease are one and the same. This sticky glue-like compound doesn’t go solely by those two names though. There’s a rich lexicon of terms; thermal compound, heat paste, heat sink paste and so on. The bottom line is that they all have the same purpose regardless of their titular idiosyncrasies. The array of names is puzzling but is nothing more than a ploy to gain a sneaky marketing advantage, or at least this appears to be the case from the consumers’ point of view. To get our heads around what thermal paste is, understanding how CPUs and GPUs are cooled is essential. A heatsink or cooler sits atop the processor or GPU chip, conducting heat away, therefore, cooling the unit. Unfortunately, due to natural inconsistencies that surface during manufacturing, the point of contact between the flat metallic surfaces of the CPU/GPU and cooler are not perfect. Microscopic trenches or blemishes remain, fertile ground for air to get trapped and hinder the cooler’s work. Because air is a terrible conductor of heat, these pockets prevent the cooler from absorbing large packets of heat produced by the component. The thermal paste or grease then steps in to plug these gaps. It fills the microscopic, imperceptible imperfections to prevent air from getting trapped between the cooler and CPU/GPU. 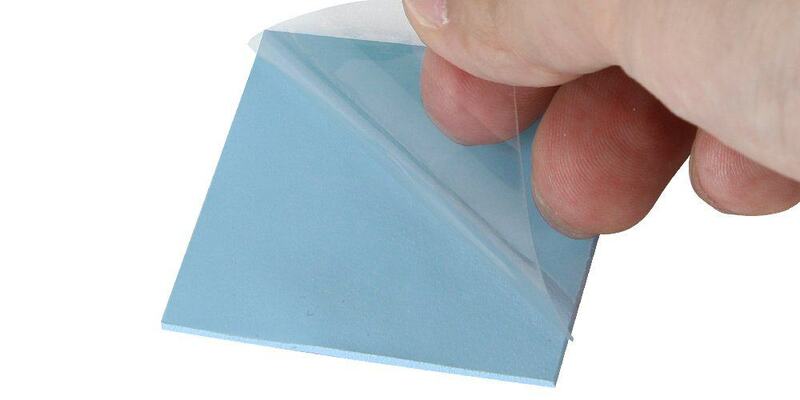 The paste maximizes heat transfer due to its intrinsic thermally conductive properties. Thermal paste is naturally better at conducting heat to the order of 100 times more than straight up O2. In other words, the paste boosts the efficiency of a cooler by allowing it to dissipate heat uniformly, and uninterrupted, across the surface of the CPU or GPU. It’s worth noting that thermal paste has no adhesive properties and in no way strengthens the junction between CPU/GPU and cooler. 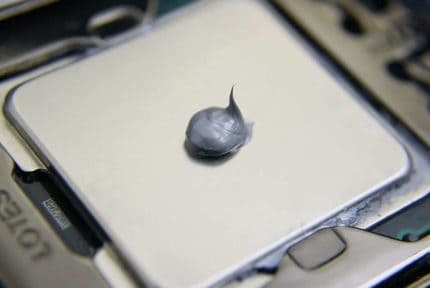 The heat conduction properties of thermal paste come from its composition, which includes ingredients like silicon and zinc oxide, as well a silver, ceramics, and graphite. Manufacturers try to strike a balance between non-capacitive and heat conductivity. Metal-based thermal pastes tend to perform better than silicon-based equivalents due to sporting better conductivity. On the flip side, they conduct electricity, so spillage or oozing is far more likely to cause short circuits and damage parts of the motherboard. Ceramics are a nice balanced option for the sloppy builder with decent conductivity and lower capacitive properties. Thermal pads replicate the same effect as thermal paste, but by utilizing solid sheets of silicone, rubber, or paraffin wax to conduct heat away from the components. They are generally adhesive and stick to the CPU. Like thermal paste, thermal pads also have a variety of names ranging from thermal interface pad to the thermally conductive pad. The pads are cut to size in pre-formed shapes and sandwiched at the point of contact between the CPU or GPU and cooler. Their function is very similar to paste in that they fill in the imperfections on the metal surfaces at the point of junction, thus preventing air from getting trapped. As temperatures rise, the pads soften and stick to the surface inconsistencies. Like thermal paste, thermal pads are a one use product because the heat shapes the pads to the imperfections. If you ever remove the heatsink, the pads need replacing in the same way you would apply a fresh layer of thermal paste. Thermal paste is tricky to install and can get messy, while dry thermal pads are a doddle to fit. Conversely, when it comes to performance thermal paste are significantly better than pads especially at higher temperatures. The reason for the performance dive is primarily due to the width of the pads. Thermal pads separate the cooler from the CPU/GPU with a solid layer of material significantly reducing its thermal conductivity. Heat dissipation is all about the best contact point possible for heat to conduct away from the unit. Additionally, the pads don’t so much conform and contort to the shape of the surface blemishes, as haphazardly stick to them. With thermal paste, the gap between the CPU/GPU and cooler is significantly smaller allowing the heatsink to do its job much more efficiently. Another difference is longevity. The sealing properties of thermal pads deteriorate at a faster rate than thermal paste and require replacement much sooner. Furthermore, removing the pads from the CPU isn’t a straightforward process as they tend to stick to the CPU making them hard to peel off. There’s also a risk of the dislodging the CPU when attempting to remove pads, which can cause irreparable damage. 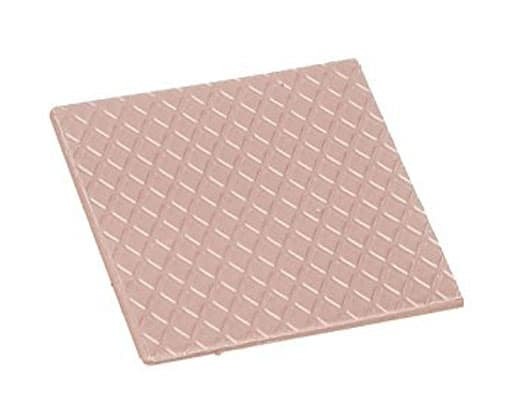 Price wise, thermal pads also tend to cost a little more than paste, although the difference is in the order of a couple of dollars, so the savings are minimal. However, the rate of replacement means they cost racks up in the long run. Overall, thermal paste is a far better heat dissipation solution than pads. Thermal pads are also slowly being phased out in favor of thermal paste. In the past, some heatsinks would ship with thermal pads, but this is increasingly rare and nine times out of ten CPUs and GPUs surfaces use some iteration of a thermal paste. 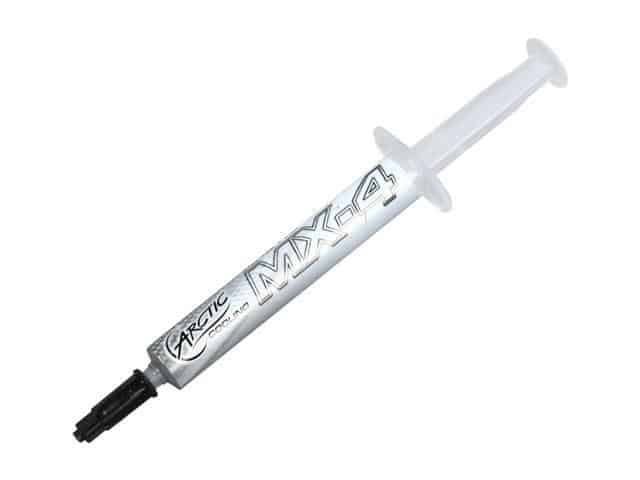 If you’re sporting a gaming setup with powerful components, then there’s no other choice than thermal paste. Keeping your CPU and GPU cool is of prime importance, and nothing does this better than a top of the line metal-based thermal past. We’d go so far as to say that if your PC has thermal pads, then replace these as soon as possible. 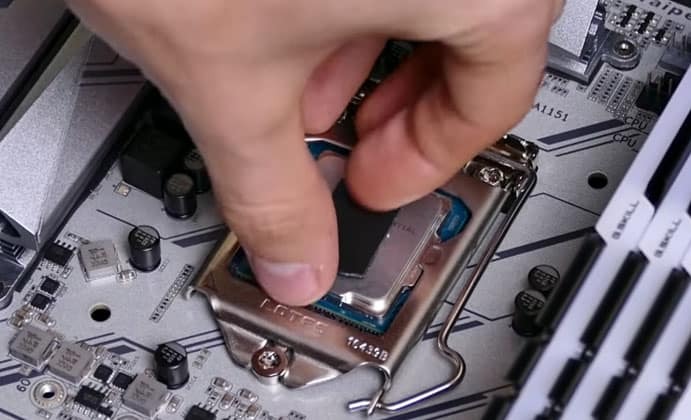 The benefits are immediately tangible, and it’s worth learning how to apply thermal paste correctly just for the benefits.